Real Message Center is a product of the popular media player, RealPlayer, that displays notifications concerning updates, upgrades, and new available software that the user has signed up to receive. However, many users soon regret signing up for Real Message Center notifications or may not have wanted to receive them in the first place. Real Message Center runs in the computer background whenever RealPlayer is running and displays notifications every few minutes. While this is usually not a devastating issue, these messages can be a nuisance, especially when a user is trying to watch a lengthy video. This can be really annoying. 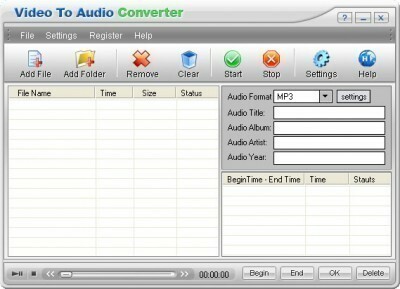 If you want to get rid of it you can either turn it off while keeping Real Player, or you can delete Real Player, and install a better media player such as Real Alternative. Users can signup for Real Message Center notifications when installing RealPlayer by leaving the notifications box checked. However, many users do not see this checkbox or may not have thought about their decision at the time. 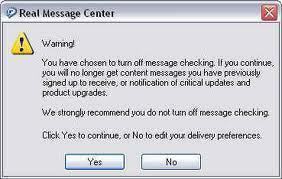 If a user does not specifically uncheck the notifications checkbox, Real Message Center will automatically be enabled and will repeatedly display notifications about software updates and available upgrades. 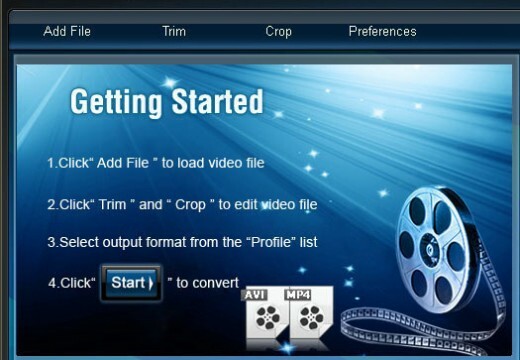 1) Run RealPlayer, select the Tools menu, and choose Preferences. 2) From here, select Automatic Services from the left hand menu. 3) Click the “Configure Message Center” button, uncheck the checkbox for “Check for new messages,” uncheck the checkbox for “Show Message Center icon in the System Tray,” click OK, and click Yes.